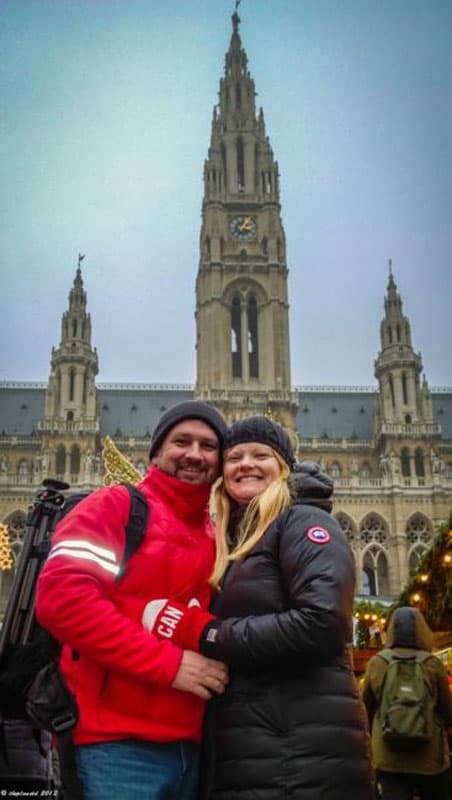 Recently we were invited to join Viking River Cruises on their Christmas Markets Cruise down the Danube. 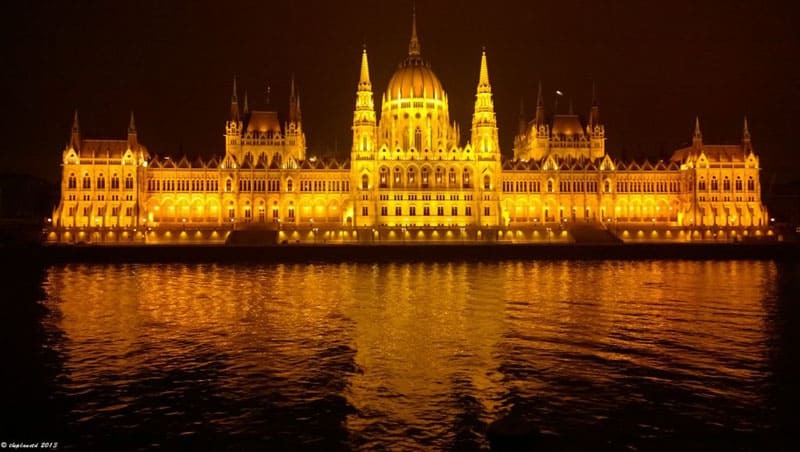 European River Cruises seem to be all the rage these days and we wanted to see what all the fuss was about. I must admit, Dave and I are not expert cruisers. We've been on a cruise to Alaska, and that was not your typical cruise at all. We filled our days with adventures like taking scenic flights over Mount McKinley, horse back riding, whale watching, and helicopter tours. Our next foray into cruise line travel took us to Antarctica and then the Arctic on expedition with Quark Expeditions where we spent our days kayaking, hiking and riding zodiacs to at big ice and to play with penguins. Needless to say, we clearly didn't understand how a cruise worked before our Viking River Cruise. When we travel, we like to branch out and explore on our own. And now, here we were walking through Vienna following a paddle while having a guide talk into our headsets about things we didn't really care about. We couldn't take a photograph due to the fact that we were surrounded by so many people, and we felt we never stayed at one place long enough to really explore it. We made a lot of mistakes on our European River Cruise, but if we were smarter, we could have enjoyed it more. For some reason we decided to turn off our brain and follow the pack when we got on the ship. It's not required. They don't demand that you take the tours or follow along. As a matter a fact, these tours are a courtesy. They are included in the price of the cruise and you don't have to go on them at all. They are just something that Viking River Cruises offers to make the experience more enjoyable for their passengers. You are free to do what you want when you get to port. But we felt that we were supposed to follow the group and do what we were told. Instead of taking charge of our own itinerary we let someone else guide us along and we grew more frustrated with each day. European River Cruises Can be Great for a Non Cruiser. We learned from our mistakes, and near the end of our trip, we realized that we were the problem – Not the cruise itself. A river cruise down the Danube is an amazing way to see many of the iconic cities of Europe like Vienna, Salzburg and Budapest. It's a superb way to get you from point A to B while having all your food, transportation, lodging and comfort taken care of. You can have a wonderful dinner in the dining lounge, enjoy some nightly entertainment with all inclusive drinks (if you buy the unlimited package for €150) and then drift happily off to sleep only to wake up at your next destination the following day. The cruise got us to each city quickly and easily and we stayed in each port for enough time to see all the major sights. It's really a good way for people to travel if they have never been to Europe before or if they like having all their transportation arranged. You don't have to constantly pack and unpack, board trains or search for hotels when taking a river cruise. You are on a floating hotel that takes you directly to some of the most beautiful cities in Europe. In Budapest, our ship docked right in front of the Four Seasons Hotel downtown. That is prime real estate and we could never afford to stay in a such a central location. But on the Viking River Cruise, we had prime hotel space every night! If you plan properly, you can have an authentic experience in Europe while witnessing the stunning views of the Danube from your river boat. 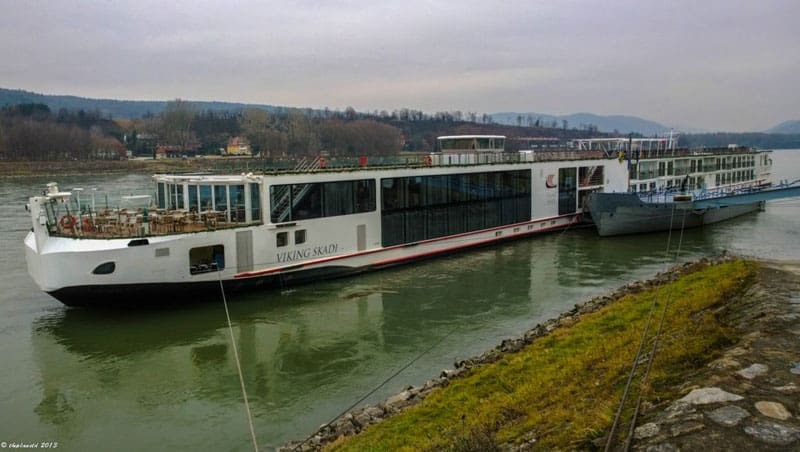 What we should have done to make our European River Cruise Better. When our cruise was booked, we should have taken a good look at our itinerary and planned on what we wanted to see. There are great day tour operators in Europe like Get Your Guide and Urban Adventures. If we booked our time on a tour with them when we arrived in a city, we could have escaped the cruise crowds and taken some off the beaten path tours. Most of the time we'd dock right in town, so it would have been easy to hook up with an outside tour company to discover the towns. Or we could have easily jumped on a hop on hop off tour bus, taken one of the many free city walking tours that can be found all over Europe or simply explored on our own. The sky is the limit. We made the mistake of getting on the tour bus with the fellow passengers rather than finding our own transportation. In Vienna our ship was a five minute walk from the metro. We could have been downtown enjoying Mulled Wine in less than half an hour. Instead we sat on the bus for over an hour listening to a tour guide ramble on about facts in the city that I really didn't care about. For some reason the guides on the tour buses seemed to think that they have to talk every single second of the ride and never left one moment of silence. I would have preferred a quieter ride with them chiming in only when there was something worth noting like a landmark or interesting piece of architecture. Many times we didn't leave port until later at night so we could have eaten in town. It's difficult to add the extra expense on when food is included on the ship, but to really get a feel for a city, it's nice to eat locally. We could have easily eaten out more often and would have enjoyed ourselves much more. I wish that we had lunch on land and frequented more coffee shops. Instead, we took the bus tours that got us back to the ship every time just in time for lunch or dinner. If we traveled on our own, we would have been forced to explore and eat out more. In Vienna we made a huge mistake. One of the things we were most looking forward to was going to a concert featuring compositions by Mozart and Strauss performed by a Viennese Orchestra. There are people selling tickets all over the main square in Vienna but instead we went with the ship tour. It was not a good idea. We joined all the other ships in port that night at an empty hall that needed to be big enough to house the large crowd that swarmed the city at once. It was not the way we wanted to see a concert in Vienna. We wanted to be in a historic venue in an ornate renaissance theatre imagining that this is where Mozart would have actually played. We understand why we ended up in an auditorium-like setting. It would be difficult for any theatre to house hundreds of cruise passengers all at once, but if we were smarter we would have booked on our own and enjoyed the concert in a more intimate setting. If we would have relaxed instead of being stressed out about the bad of time we were having, we would have figured all of this out sooner. We knew from the first tour we took in Passau that we didn't like going on the tours prearranged by the cruise line. If we would have taken a breath and said “How can we fix this” We would have realized that we could still have a good time. We needed to see the positive instead of the negative. It wasn't until our final three days that we actually figured it out and finally enjoyed ourselves. Many people enjoyed the Viking River complimentary tours very much. I heard passengers stating that the guides were very knowledgeable and that they learned a lot. We suggest taking a ship tour when you first arrive to see what you think of them. It's easy to book other tours a day or two in advance, so if you find that you don't like the prearranged tours, you can easily change your mind. All Viking River Ships offer free wifi, so you can plan your excursions while at sea in the evening. Organization is key. What do you want to see in each city and how do you want to see it? We would definitely give a European River Cruise another shot. The next time, we will plan better, take charge more and decide what we want to see at each stop at. I know that it can be an amazing experience. We saw a lot of people having a great time. But that is what travel is all about. You learn a little bit each time you go somewhere and try something new. That's why there are blogs like ours to help you not make the same mistakes that we made. To check out more European River Cruises at Viking River Cruises. 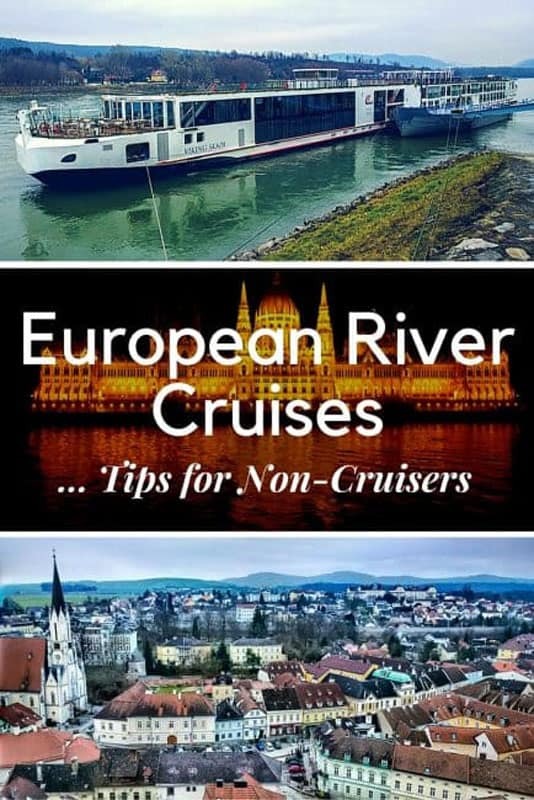 47 Responses to "European River Cruises – Tips for Non-Cruisers"
Awesome tips. BTW, A Mandatory Emergency Drill will be conducted right before the cruise ship sails away. This drill is to help you familiarize yourself with the procedure that will take place in case an unfortunate event occurs. So despite your anxiousness to get the party started, pay attention it could possibly save your life later! Wow I had no idea these Christmas market cruises existed. I’m a Christmas fanatic and I’m dying to see the Christmas markets in Europe. I will definitely be looking into this for next year! Me and my some friends planning for river cruises trips. We are looking for a cruises team who offers their services in a affordable price with good services. I think Viking River is an excellent choice for affordability and service. It’s a great company. I don’t think you will get more enthusiastic staff anywhere. Wow your pics are amazing. We have been planning a cruise for so long now so thanks for the tips. Won’t make those mistakes. Awesome tips! I would likely do those handful advice in this article so that we can enjoy our trip to Europe. Nice tips! I have the same apprehension you did with cruises. But I guess it would be great to not have to book multiple accommodations and get to visit several places. It would also be awesome to not have to repeatedly unpack and repack! I’ve only just recently started to learn about these river cruises. I had no idea they even existed. It sounds like such a cool way to check out more of Europe. I’d definitely ditch the tours and explore the city myself, I prefer to just walk around & get lost a bit, chill at a cafe or two, find a couple restaurants and devour some local grub. 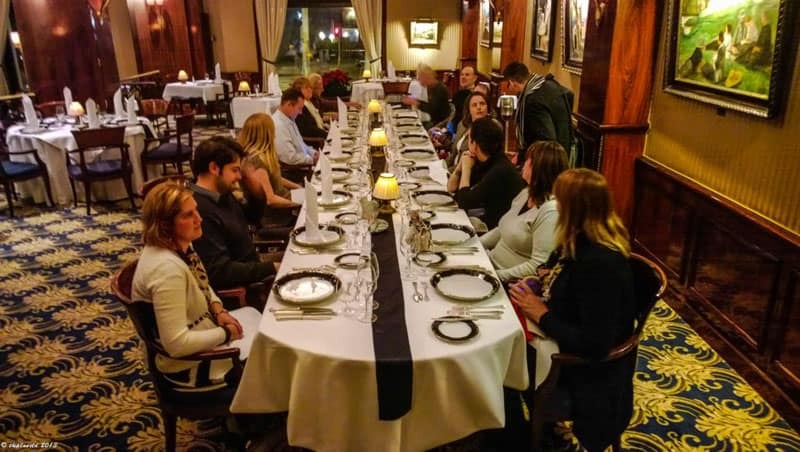 Great article that confirms all my thoughts about a river cruise. I would love to take one in order to visit a lot of places in one trip without having to repack. I like that they don’t move on until late at night so you can have dinner in the city. I think I would skip the excursions and plan our days (or take a food tour with Urban Adventures!). My husband and I are independent travelers that happen to cruise. It's a great way to get a taste of something without the full commitment. Planned tour excursions are great safety nets for those who do not travel much or feel uneasy in an unfamiliar environment. We like the challenge of getting lost in a city at each Port in search of life beyond the tourism. With your permission, I would love to put a link to this article on my web site! Glad things turned around for you towards the end of your trip! Great tips guys. I’ve lived in Europe for over 3 1/2 years and haven’t done a single river cruise, mainly for the reasons you’ve mentioned. Your tips are a good way to get the convenience and experience of a cruise, while still doing something that fits in better with your travel style. 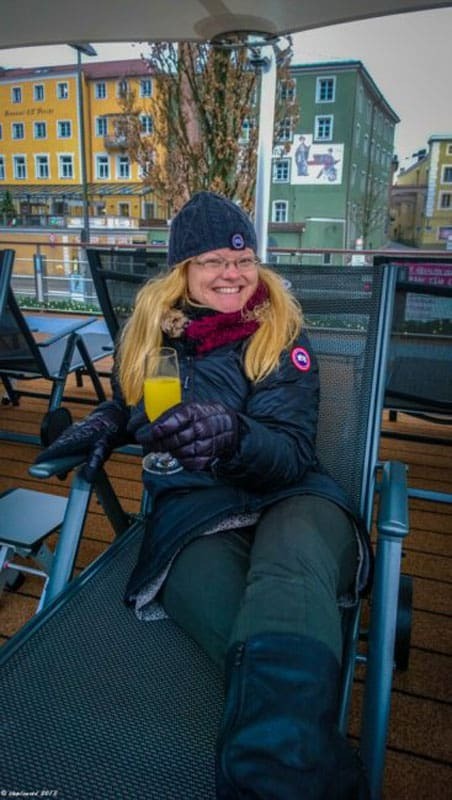 Thanks Laurel, I think cruising down the Danube or Rhine is beautiful, you just have to take your days on shore and in cities to yourself to truly enjoy it…that is if you like to travel the way we do. Many people on the ship enjoyed following the crowds. I just don’t ever want to travel that way personally. Looking back, I really did like the Christmas markets and of course seeing all the friends on the trip! Great tips! I have never been on a cruise but now that you mention booking independant day trips/tours, it makes a lot of sense. I will be sure to keep that in mind when I do go on a river cruise! Glad we could help. River cruises are becoming popular, we want people to have as much fun as they can on them. Good points and very timely. My mother lives in Turkey, where Christmas is just not the same. I'm considering taking her on a Christmas Markets river cruise. We've never been tour group travelers, so it's good to know we don't have to stick with the crowds, even if mom wants to go with the group. I'm an avid cruiser (have been on 25+) BUT, I've never been on a river cruise before so this provides some good insight into what to expect. Like you, I always thought you had to "stick" with the crowd and wasn't aware that you were allowed to venture off on your own. Great tips! Wow! that’s amazing to have been on 25 cruises. You definitely know your stuff. Glad to know that we could help you out a bit especially as someone who knows cruises so well. We will definitely do our next cruise differently. cheers. I really long to go on a cruise! The tips you guys have given are helpful, because simple things make or break your travel experience. It’s better to be prepared to be able to enjoy more. Thanks Renuka, I’m glad we could give you a few tips to enjoy your cruise when you do go on it. You are right, simple things can make or break travel and it’s always good to know more before you go and be prepared. That way you can enjoy it fully. I actually just got back yesterday from the same cruise on the Magni. For my parents, it was a wonderful trip where they got to see so many cities and spend time with their daughters. 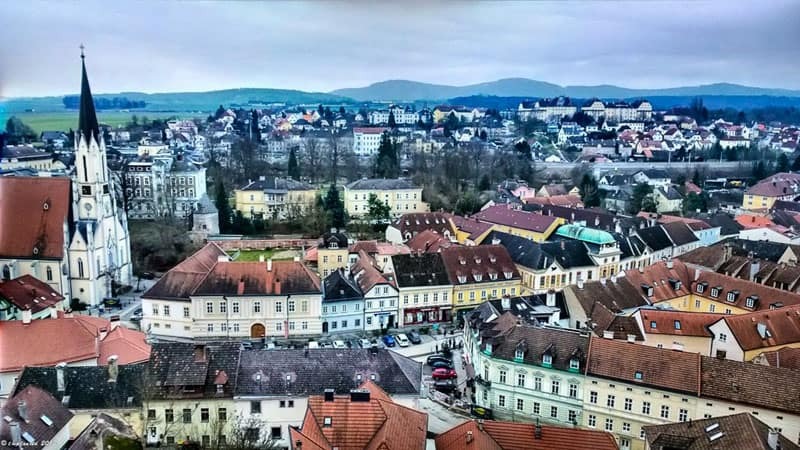 While I'm not a guidebook or planned tour type of person, I was impressed with several of our guides (Lukas in Passau and Katerina in Bratislava) and it was nice to, as you mention, not run around trying to figure out logistics. Some of the tours we went on, some we did not. We didn't do any of the extra concerts or excursions. For wanting to spend time with one another without the hassle that travel can bring (see also: my trip home), it was perfect. And the staff, in my opinion, were bar none! Very cool to hear that you were on the same cruise! I think that it makes the perfect vacation for families to take together with their grown kids. I don’t think it’s for small children, but adults with their parents/grandparents is perfect. So glad that you loved your guides and yes, it’s great to not have to think about too much. It’s definitely the perfect vacation to spend quality time together without having the distractions at home. So happy you enjoyed. Cheers! I’ve definitely had this experience of coming home from a trip and realizing I would’ve enjoyed it more if I’d approached it differently. Live and learn! I think many of us have had that same experience. I think that is why I felt compelled to share our experience. I wanted people to learn from our mistakes and we knew that it was our fault that we didn’t have the time that we should have, not the cruise itself. Such an informative post I would completely agree on! Especially for people who’d love to take a cruise and scout the locality as well, without getting tangled with the entire cruise crowd!!! I loved my Mediterranean cruise starting from Spain, touching Gibraltar and Morocco – but went through the same huge group of people making it very difficult to experience the spice and essence of the cities we traveled to…. Hoping to make the same trip on our own soon – but I would never give up on cruising – anyone whose done it in a massive vessel would definitely know the thrill involved!!! That’s a gerat point Asha, A cruise is a good way to scout where you want to go back to. It’s also a great way to see a lot at once. I’d love to do a Mediterranean cruise and I think that I would approach it the same way that I just wrote about. I’d make sure to get out on our own more and stray away from the crowds. Great article. I always thought a European river cruise would be boring and were targeted at retirees and oldies. You’ve totally changed my mind though. From one non-cruiser to another – thanks! Glad we could help Amanda. The river cruises definitely attract more in the retired market, but the demographic is changes and they are becoming more popular. I think that as people our age start to take them more, they will adapt and change the way they are set up. A great idea would be for them to encourage people to book their own excursions and to let people know that they can do a lot on their own. We were looking at doing one of their Russian cruises, really good things to keep in mind. I’ve done both the tours the cruise line offers and on your own and have found I tend to enjoy the on our own excursions. Glad to also know they have free wifi. We did a Disney cruise over Thanksgiving and the wifi pricing was insane. The free wifi is a great attraction. I feel that there isn’t an excuse for not having it anymore. However I guess with a cruise line like Disney if they have thousands of passengers on at once, it wouldn’t be possible. The river cruises are smaller and more intimate so they can offer it. And yes, I think getting away from the cruise tours is a good option at least a few times. We were looking at doing one of their Russian cruises, really good things to keep in mind. I've done both the tours the cruise line offers and on your own and have found I tend to enjoy the on our own excursions. Glad to also know they have free wifi. We did a Disney cruise over Thanksgiving and the wifi pricing was insane. Wow, sorry to hear that the tours and excursions were so frustrating. I’d really like to try a river cruise one of these days but I was slightly turned off when I saw the tourists taking two steps in Budapest from the ship to the bus and obviously never exploring on their own. It’s definitely good advice to taylor the trip to your personal travel preferences. Sorry you guys weren’t able to do that right away, but it still sounds like an incredible trip! You said it Laura. It’s a shame that people don’t explore on their own. We land in the heart of Budapest and people could easily walk and explore on their own. Luckily we had been to Budapest before and had seen much of the city already and luckily, by the time we got to Budapest, we figured out that we didn’t have to get on the bus with everyone. We had the best time there because we simply walked off the ship and went downtown. We discovered a few places we hadn’t been before and we felt like we were back to the way we liked to travel. We could have done that in each city had we been more on the ball. It’s a good way to get around and see places that would otherwise be very difficult to travel so I recommend trying it and following a bit of our advice. Thanks – that was really helpful. Like you we like to do our own thing and I would never have considered a river cruise before reading this, but now it sounds like a great idea!! Awesome, glad that we could open your eyes to another way of traveling. That is exactly why we went on the cruise, we always like to try different ways of traveling and we’ve never done one before. Now we will know how to fully enjoy the next one. Such good advice! I’ve been interested in river cruises for awhile. I’ve done a few larger cruises and liked the convenience but wasn’t into being part of a large group all the time, you never felt like you were getting a real experience. It’s nice to know it’s easy enough to branch out while on a river cruise. And I agree about eating out, it really is one of the best ways to experience a city, but hard to justify when there’s a prepaid meal waiting on the ship! On my last cruise I did more snacking off the ship (street food, appetizers, that sort of thing) so I could still get a feel for the food and restaurants but not spend as much money and still have room for the ship’s meals. You summed it up perfectly, they are convenient. And you know what, a lot of people don’t have a lot of time to explore on their own or to plan a lot so a cruise makes sense to do. You have your itinerary planned and you don’t have to do a lot of leg work on your own. You can have the best of both worlds when doing a river cruise, you can go out and explore on your own when you reach the city but you still get the convenience of easy travel and getting to experience a lot of places. Great tip to do snacking off the ship. Street food and appetizers are awesome and it still gives you the feeling that you are experiencing the culture.